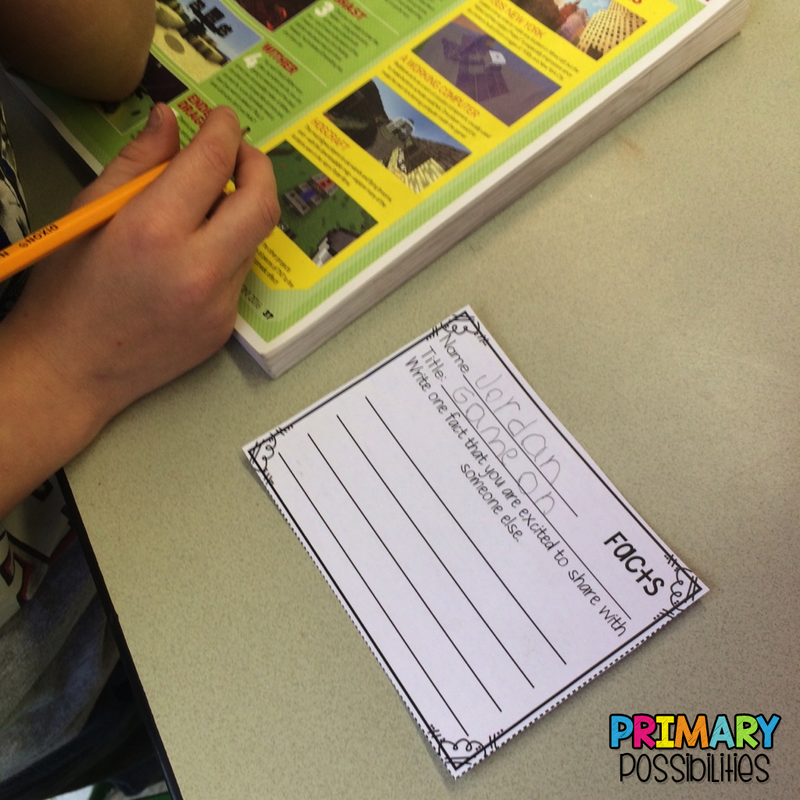 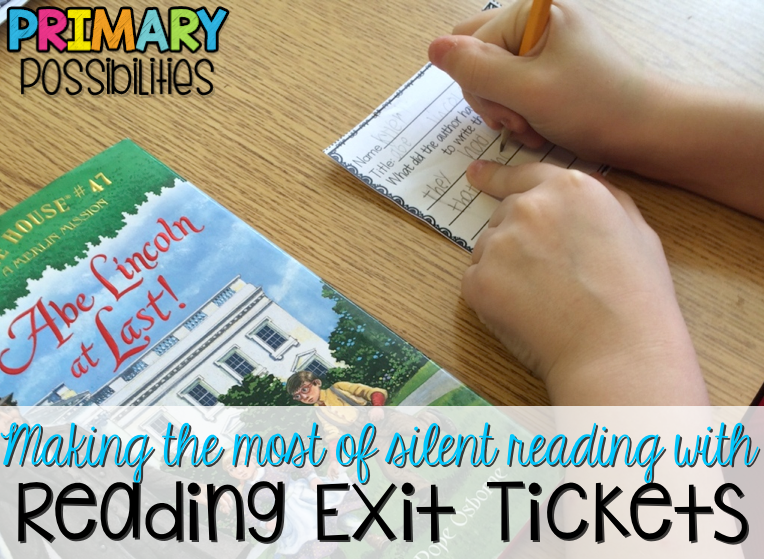 Exit tickets are a great way to check on student progress in many different areas of learning. 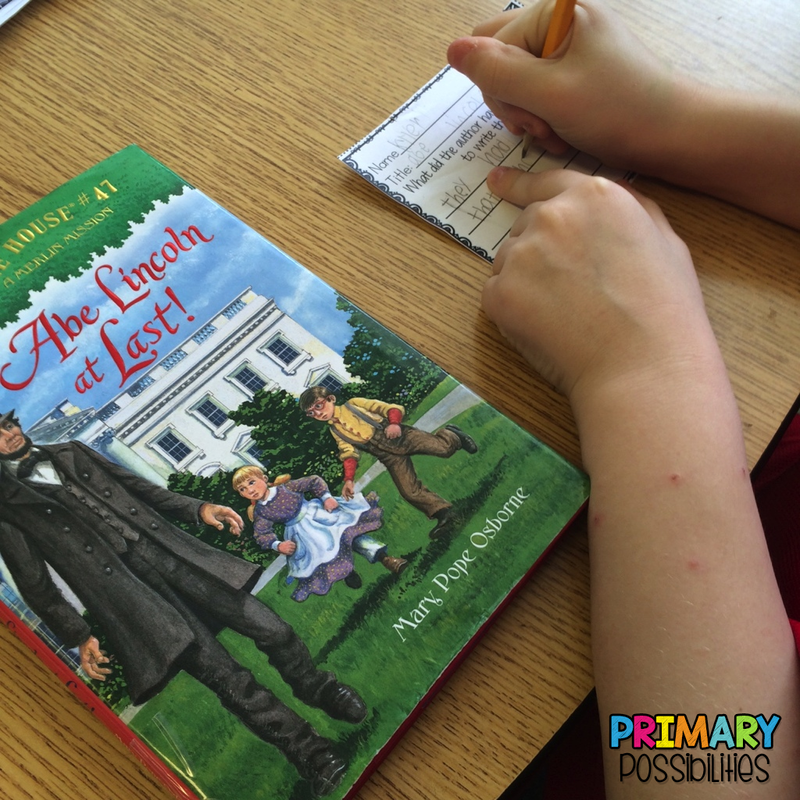 I often found that during read aloud time and silent reading time I was "disconnected" from some of my students. During read alouds they may look like they are listening but were spacing out, or when I asked questions while reading they were too timid to give their opinion or answer out loud. 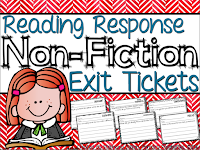 During silent reading I often listen to and read with students who are struggling and feel disconnected from students who are on level or above. I love to use these during read aloud time... it is a great way to get students thinking about what you are reading and to avoid the "distracting voice" that can sometimes pop up while you are reading. I always let the students know what the exit ticket will be so that they can think about it while I am reading. 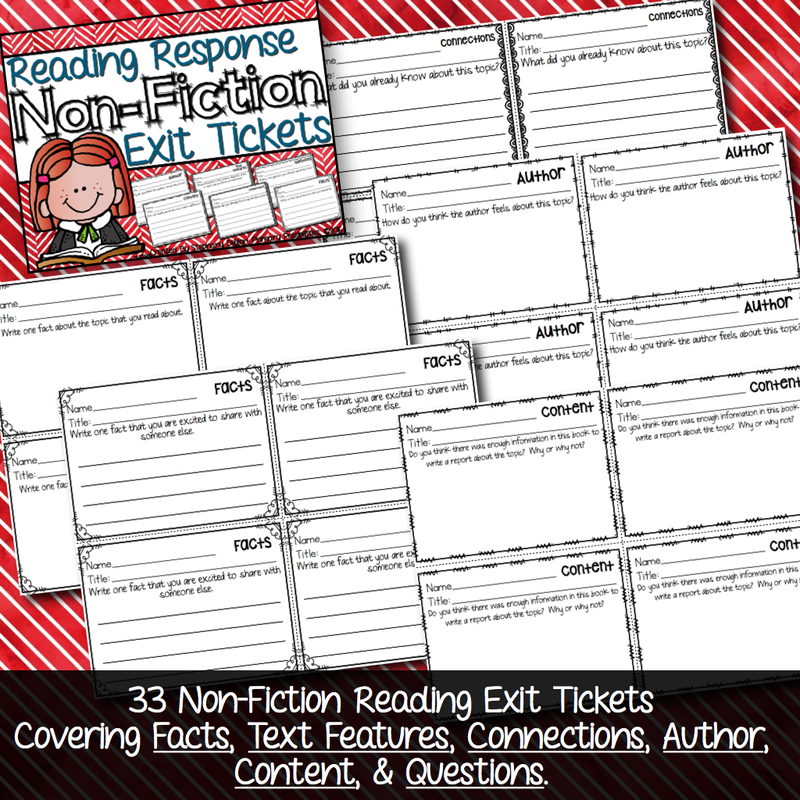 After I have read aloud, I pass out the exit tickets and give the students just a couple minutes to jot down their ideas or answers. 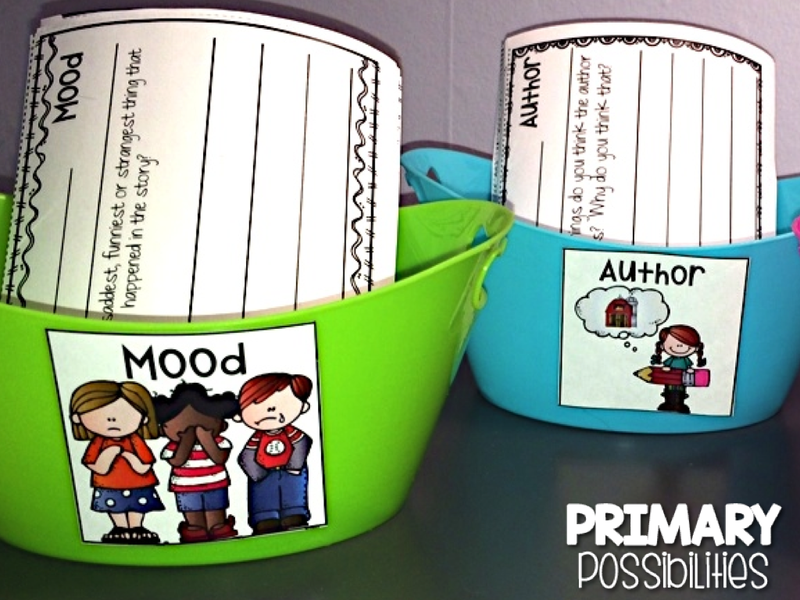 Occasionally, I will use these during silent reading. 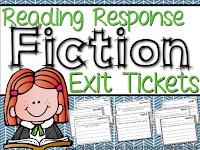 I will place a variety of the tickets out in labeled containers so that students can pick an exit ticket that best works for one of the books they read. 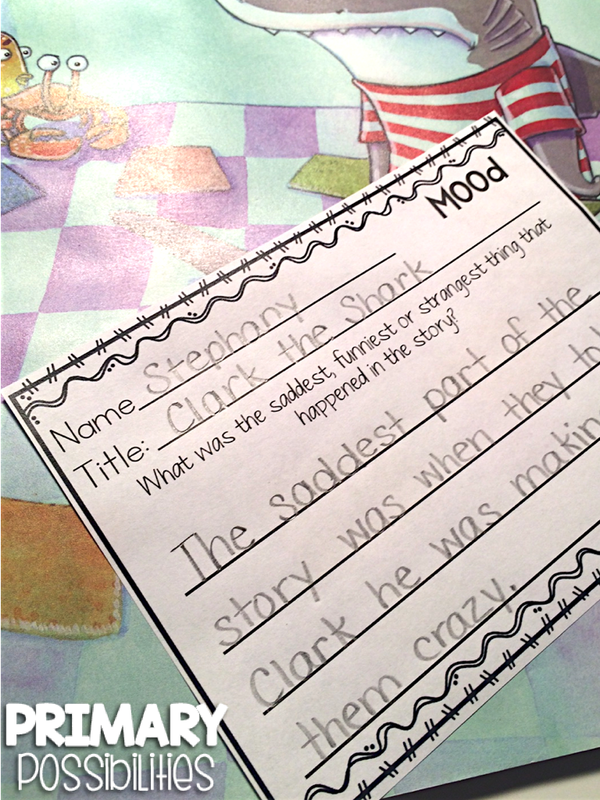 I love reading these and getting insight on what students are reading and thinking about during their independent reading. 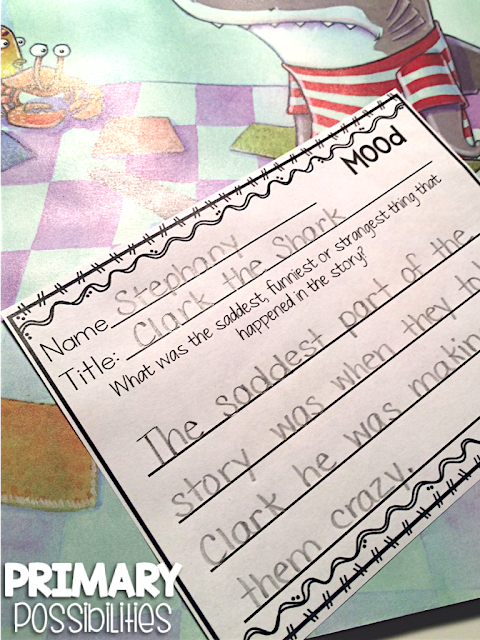 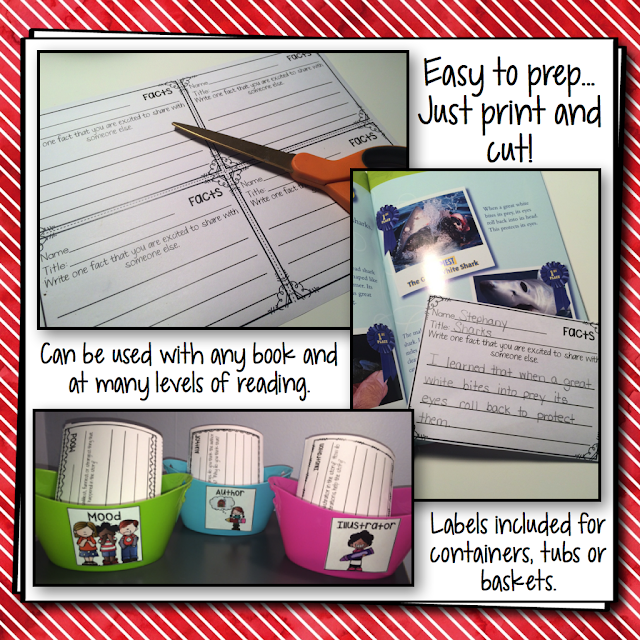 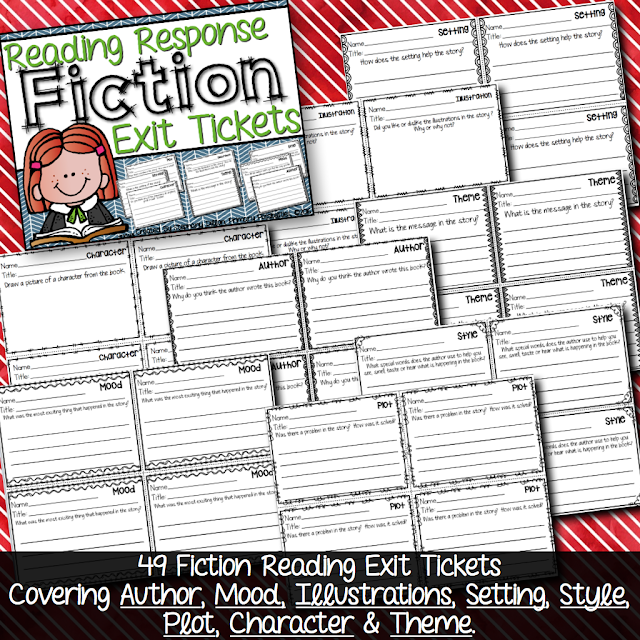 I use tubs with labels to help students choose which exit ticket is right for them. 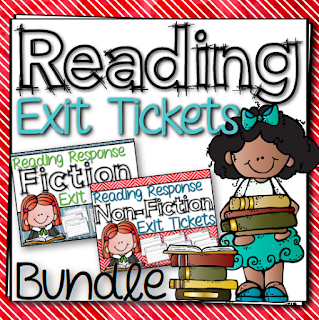 I just ask students to grab one ticket to complete either during or after silent reading. 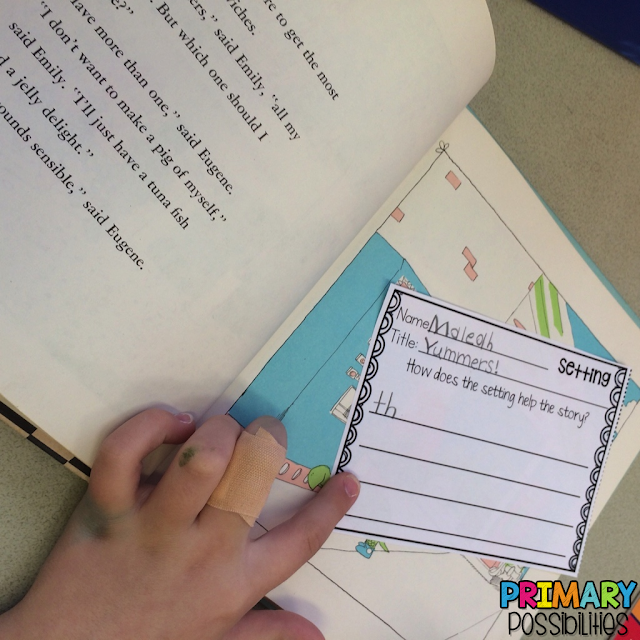 It's a quick, easy way to check in on reading skills.